This shop has been compensated by #CollectiveBias , Inc. and its advertiser #KefirCreations . All opinions are mine alone. My husband is a long time lover of Lifeway Kefir. He has always been on me to try it since he really loves how much its probiotics and live active cultures help him with his stomach issues. Since I have been on a few different rounds of antibiotics lately, I figured that now was the perfect time to try and find ways to get more probiotics in my life. This week we have been putting it in our morning smoothies in an attempt to get me to drink it more. 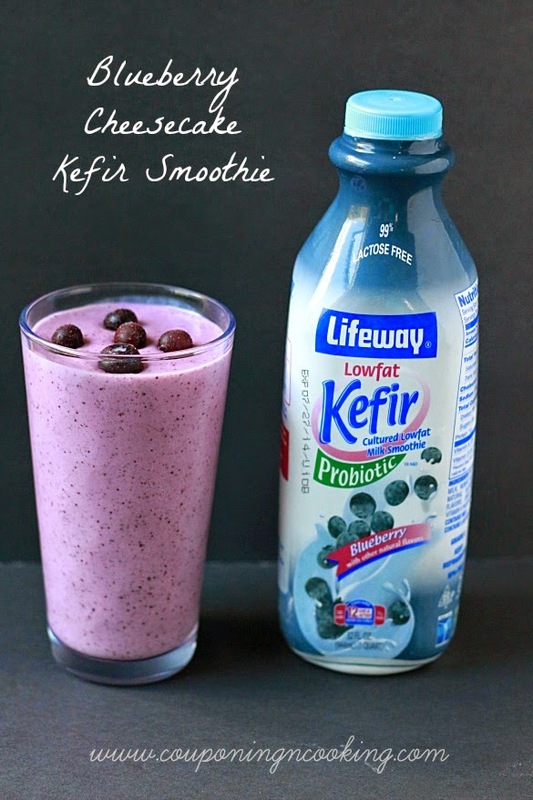 Lifeway makes so many different varieties of Kefir that we always have one or two on hand in the fridge. While Justin prefers the plain original version, I prefer the flavored versions. 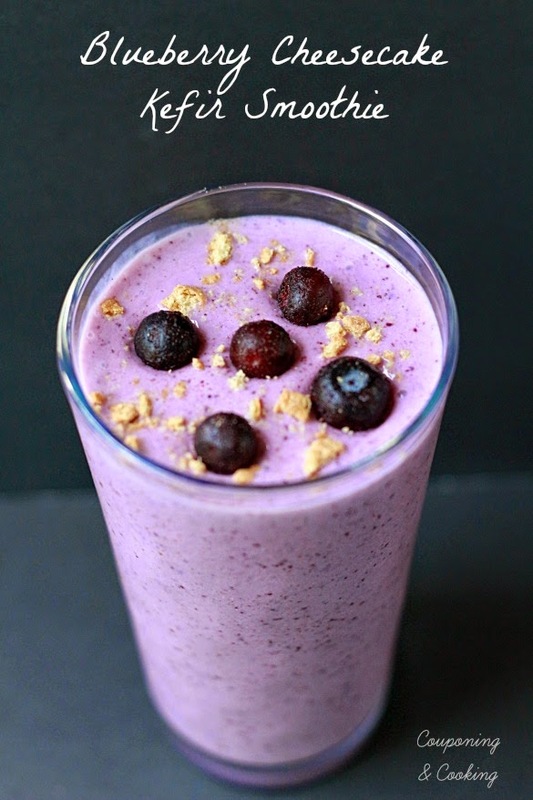 We recently purchased the Lowfat Blueberry flavor and have been using it to make our new favorite morning smoothie, Blueberry Cheesecake. 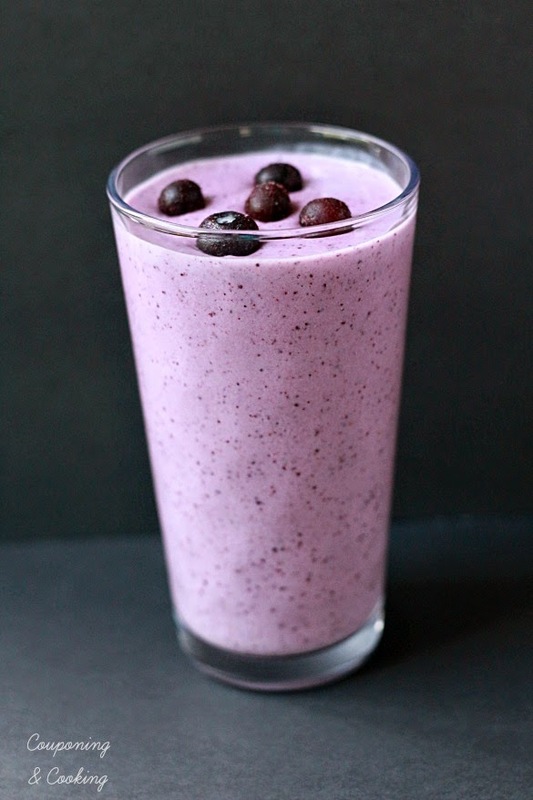 I am a big fan of smoothies that taste like a milkshake without all the ice cream, fat, sugar and other not so great stuff for you that milkshakes usually include. 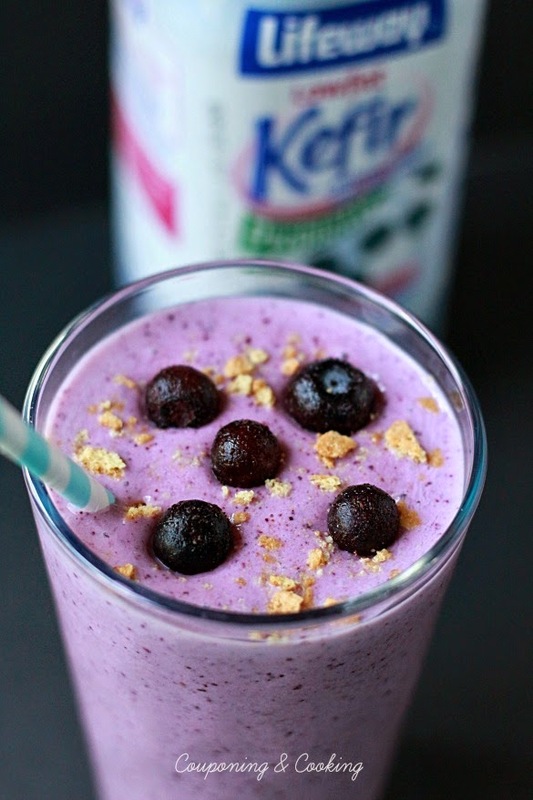 This Blueberry Cheesecake Kefir Smoothie does just that. It is yummy and flavorful while still filling me up. You can easily modify it to fit your personal dietary needs or preferences and it can be made quickly with ingredients you may already have on hand. We made these today before heading to the gym but they would also be perfect for an afternoon treat on a hot summer day or for a little something to satisfy your late night sweet tooth. I am thinking we are going to have to try out the strawberry and raspberry flavors of Lifeway Kefir in place of the blueberry soon too. Unfamiliar with kefir? It is like a smoother, tart version of liquid yogurt. Lifeway Kefir contains 12 live and active probiotic cultures that help support a healthy immune system and digestive health. It is naturally gluten free, 99% lactose free and contains no artificial sweeteners and is rich in calcium. 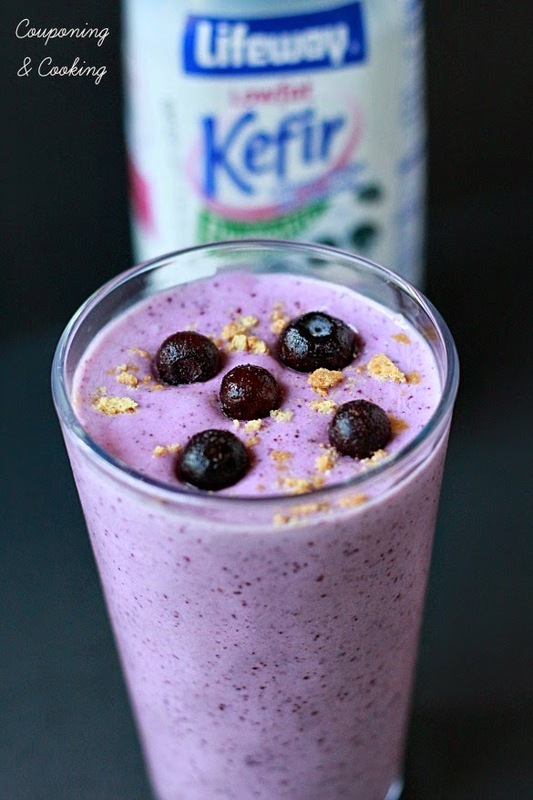 Have you tried kefir before? What is your favorite way to enjoy it? Want to save on your next bottle? Sign up here and save! 1.) Put all ingredients in the blender until smooth. 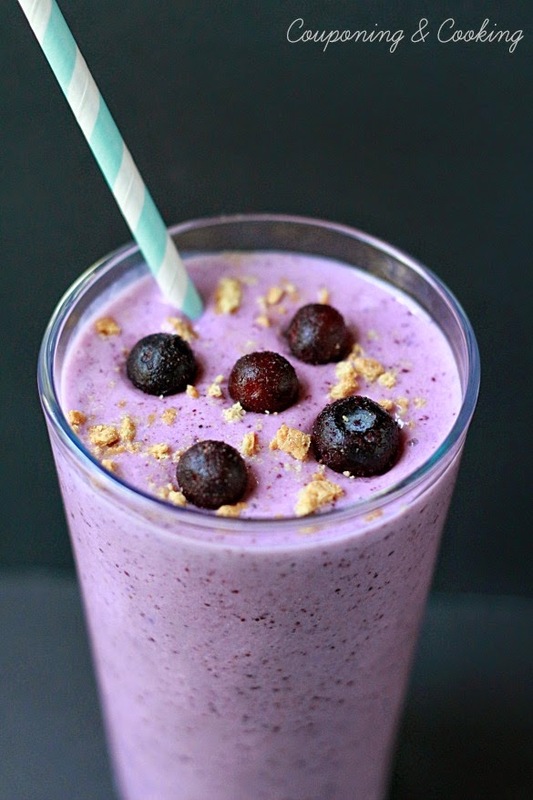 Top with crushed graham cracker and a few extra blueberries if desired. Sidenote: If you decide to add protein powder to your smoothie (which Justin has done and loved), you may wish to leave out the stevia depending on how sweet your protein powder is to avoid it being too sweet.